“Steam for Linux” – is now available for Ubuntu/Linux platform. They just announced – the limited access beta for the newly launched – “Steam for Linux Client”. Currently, Steam is the leading platform for delivery and management of PC/MAC games. Now, you can play a lot of cool games in Ubuntu / Linux. it supports free to play games like Team Fortress 2, and dozens of other games are available to play on Ubuntu. checkout the list of games available for Ubuntu right now in this limited beta. Currently, it’s available only for Ubuntu 12.04 LTS but soon it will be available for other platforms. Then open the *.deb package with gdebi package installer or Ubuntu Software Center. 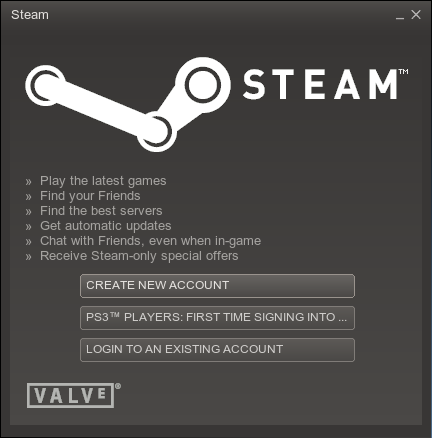 When, the installation will complete, you can start steam client and create an account or sign in to begin. Previous PostBootstrapThemes.me : a marketplace for Twitter Bootstrap Themes!Next PostNew Nvidia Drivers for Linux Gamers – claims 2x performance boost!